Ryan Walter is a leader. He has been in a leadership role for most of his life. At 22, he was named captain of the Washington Capitals – making him the youngest captain in the league at that point and one of the youngest in history, still to this day. He also worked as a coach, broadcaster and now can be found on the motivational speaker circuit with his talks focussed on leadership. And sometimes, when asked to be a leader, there are some unexpected consequences. As you can read in this article from Evangelical Fellowship of Canada, that Walter was asked to “keep an eye” on veteran teammate Jean Provnovost, whose Christian views were seen as potentially divisive for the team. Walter, in keeping an eye on him, got to know Provnovost and found himself influenced by his veteran teammate both on and off the ice. Walter began attending Bible studies and eventually became a Christian. He shares part of how this all came to connect for him in this video from Hockey Ministries International. Walter would go one to play over 1000 games in the NHL and amassed over 600 points in his career. 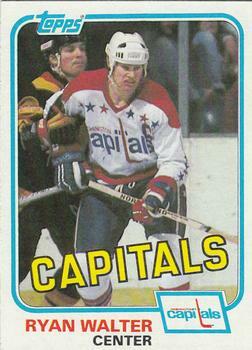 He won a Stanley Cup ring with the Montreal Canadiens in 1986. 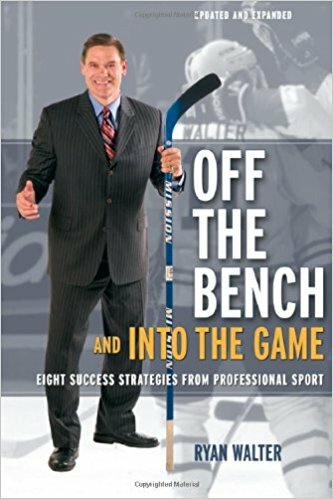 He has won medals as a hockey coach, authored books, started businesses, worked as president of a hockey team and even created a board game. He has also participated with Hockey Ministries International, reaching out to the next generation of hockey players looking to influence their game and their life. As you can read in this article from Leader Impact, Walter is able to effectively communicate about both leadership and faith. He continues to be an influencer, to the people God leads him to connect with. These days, Ryan Walter speaks to audiences about faith and leadership. 1- Do you know? – It was after a scary moment on a team flight that Walter was willing to consider what life was truly about and be challenged about what happens at the end of one’s days here. I really like how he framed the way that people in North American Society can frame the concept of heaven and hell. If I do enough good and don’t mess up too much to counterbalance that, I’ll make it, but if I blow it, I’m doomed. I’m really glad that this is NOT the way God worked it out. Because that thought will only lead to one of two possibilities. We are either delusional and blind to the fact that we can never do enough good to offset our bad, or we are experts in lying to ourselves, thinking that we can sell our version of the truth enough to get to heaven. But God didn’t work things out that way. Instead, He knew that we could never make it on our own. Our performance and list of good deeds fall short because “All have sinned and fall short of the glory of God” (Romans 3.23). But the truth is that God made a way for us to be rescued from all the bad things that we have done. He has made a way to deal with our sin, satisfying his judgement for our sins, while still demonstrating grace and mercy to free us from the penalty which was paid instead by Jesus. So, friends, let me ask you. Your plane is going down. Do you know where you will spend eternity? You can know! Christ has made a way for you to have all the mistakes, poor judgements and selfishness to be forgiven. Choose to make Him the most important part of your life!